Solagratiamom: Solagratiamom Advent Event begins December 1st!!! 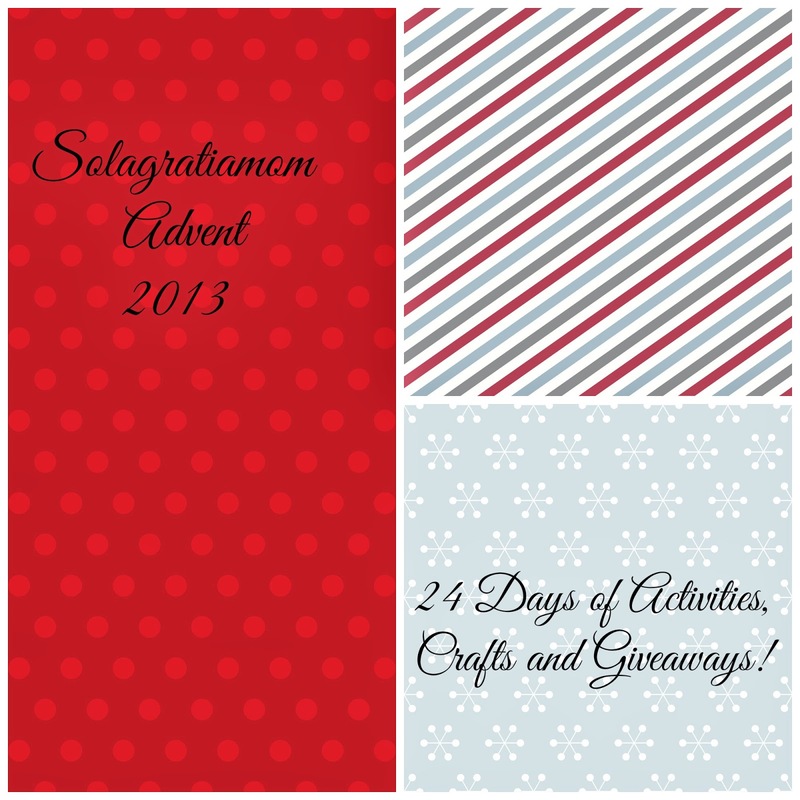 Solagratiamom Advent Event begins December 1st!!! I want to live purposefully. I want to experience December one day at a time, focused on the main event that reaches it's profound crescendo on December 25th. I want to remove myself from the commercialism of Christmas that is our modern world's take on the Holiday, and try to bring it back to what is really important. I want to shut my eyes to the glitter, flashes of color and stalking advertisements telling me about all that I must have to be complete. I want to close my ears to the theologically incorrect songs that play unrelentingly, steering hearts away from Him. I don't want to open gifts that can only bring satisfaction here and now, but rather declare to others the Gift that brings eternal satisfaction. I don't want to open my mouth to shout at people who took my parking spot in a crowded mall, but rather to sing His praises. I don't want to be rushed, hurried, harried but rather peaceful, purposeful and prayerful. My challenge to you is to figure out how you too can shut out the noise that the world calls Christmas and live purposefully, focused on what Christmas really means to us who Believe. It is especially important to me that I help my children unwrap the awesome reality that Christmas is. "for God so loved the world..." He made a way of salvation for all to see if they but look, really look at what Christmas is all about. My purpose this year is to help my children do just that - look, really look and see what God has prepared for them - this awesome Gift. Thanksgiving is a great preparation for December, really. It is a time to focus on God's character, provisions and blessings. It's a way of preparing the heart to go deeper with Him this Christmas season. In just two more days I am going to kick off my celebration of Advent and the start of this purposeful December and I hope you will join me! To start, I wanted to better understand the word Advent so I looked it up. It is derived from the Latin, and since we're all Latin students at CC, I thought I would share what I found online at www.etymonline.com! "important arrival," 1742, an extended sense of Advent "season before Christmas" (Old English), from Latin adventus "a coming, approach, arrival," in Church Latin "the coming of the Savior," from past participle stem of advenire "arrive, come to," from ad- "to" (see ad-) + venire "to come" (see venue). To kick off your Advent - I would really recommend preparing to do a Jesse tree with your kids. I read a fantastic book to better help me gain a deeper perspective on Advent through the Jesse tree by Ann Voskamp called The Greatest Gift. I'd highly, highly recommend it! 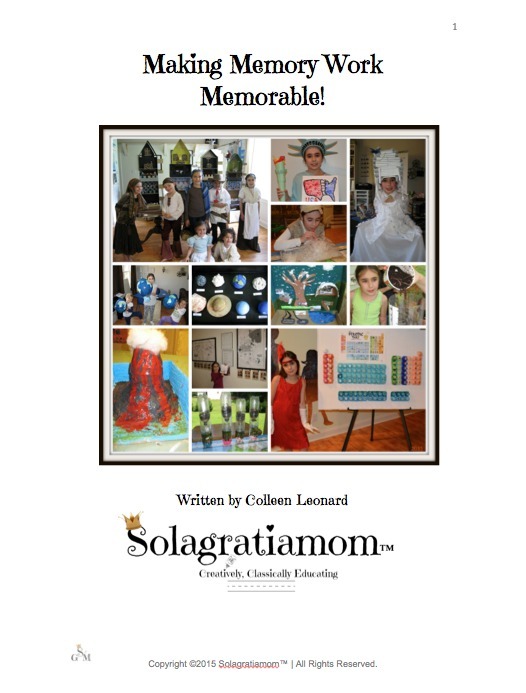 You can purchase it by clicking below. A cool sidebar is that you can print off all the Jesse tree ornaments from her website with the code you are given in the book. This is what we're using this year for our Jesse tree. The nativity story didn't start with a journey to Bethlehem, an emperor's decree, or a virgin conception---it began with Adam! Exploring the lineage of Jesus through the Advent tradition of the Jesse tree, Voskamp retraces the epic pageantry of mankind from Genesis to God's greatest gift---his Son. A timeless reminder of the true meaning of Christmas! With your purchase of The Greatest Gift, you'll be given access to an online resource where you can print out the 27 beautiful Jesse Tree ornaments featured in the book. On the heels of Thanksgiving another great book I love by Ann is her One Thousand Gifts: A Dare to Live Fully Right Where You Are. I will host 7 different giveaways throughout December starting December 1st with the latest copy of the Teaching Plan for Weeks 13-24 (which is also available now for purchase to complete your 2nd half of the CC year!) as well as fun stuff from my favorite friends like Wisdom and Righteousness, ecojot, Professor Noggin, Warfare by Duct Tape, Christian Perspectives, Classical Copywork! I will also post daily as I walk through the Advent with you, sharing what we do each day of Advent via activities, crafts and projects! It is my prayer to inspire you to carve out this coming month to focus on our precious Savior and Lord allowing Him to be your focus and the focus of your family! Experience December like perhaps you never have before...purposeful, intently looking at the true Gift and Gift Giver -one day at a time.